In 2009 Duff Morgan celebrated a century of uninterrupted trade and development in the automotive industry. The story begins, according to current CEO David Barratt, with the establishment on the 11th March 1909 by three gentlemen: Colonel Granville Duff M.C, Mr. John Delmar Morgan and his brother-in-law, the dashing Commander Oliver Locker-Lampson C.M.G, D.S.O under the name Duff Morgan and Vermont, trading as Duff Morgan. In describing the founders, he continues, “Colonel Granville Duff was the first cousin of my maternal grandmother and was from 1920-1921 the Lord Mayor of Norwich. Mr. Delmar Morgan was an engineer, who was, it has to be said, ahead of his time and was heavily involved in the designing and building of the Armoured Car of World War 1. Regarding the dashing Commander Locker-Lampson, he recognised that his political standing as a Commander would offer many opportunities for the business but and also shrewdly knew that, especially in those days, the association with trade was considered inappropriate for a gentleman. Furthermore, he observed that the new-fangled invention of the motor vehicle was not taken seriously by many of his political peers at the time. Therefore, with a firm understanding of the social values of the time he chose to remain anonymous by donating the Company’s title in the USA State where his mother came from, Vermont. "Commander Locker-Lampson enjoyed a privileged circle of friends," Mr. Barratt reveals, "He was a Member of Parliament for the Wandsworth Division of Birmingham and even gave the scientist Professor Albert Einstein refuge from the Nazi persecution. He was very friendly with Mr. Winston Churchill who attended Commander Locker-Lampson's wedding in Cromer in 1925." One of the greatest mysteries in the history of armoured warfare has always been connected with its earliest days in 1914 when Admiralty at the instigation of Winston Churchill began building armoured cars. This was a bold and unexpected step that seemed to spring out of nowhere and Mr. Barratt reveals that it was actually Commander Locker-Lampson's who made the suggestion to his friend Mr. Winston Churchill, who was at the time a Cavalry Officer with sufficient foresight to see a future in mechanical warfare and it was he who managed to sell to the Navy the enormous benefits of Armoured Car Fighting. And it isn't only British history that was affected by the dashing, outgoing Commander, for he is directly named in the book entitled “The Czar’s British Squadron” which tells the story of an Armoured Car unit of the Royal Navy Air Service, commanded by Commander Oliver Locker-Lampson which embarked for Russia in December 1915 to fight alongside the armies of the Czar!" While the Company’s premises at 48 Dover Street, London were busily building Armoured Cars for the Admiralty; the Norwich Operation was building top of the range cars for the people of Norfolk. "In these early days, very often cars were built to the customer's requirements," Mr. Barratt says, "The engine and chassis came from the manufacturer and the Company added the coach-work. Some would arrive to us ready for the road, some arrived via rail to the old Victoria Station behind our Victoria Garage and some arrived dismantled in crates for re-assembly." However, while the legacy of creating the first Armoured Cars for World War 1 would remain, the operation in London would cease trading and Duff Morgan focussed their attention on cars for the road from their three Norwich operations. During this time the running of the business had come under the guiding hand of Mr. Barratt's maternal grandfather Mr. Charles Hore-Ruthven who had joined the company in 1911. Mr. Barratts grandfather, Mr. Charles Hore-Ruthven was Chairman and Managing Director of Duff Morgan until his death in March 1963 when his father, Mr. John Barratt and the Norwich Stock Broker, Barrat & Cooke supported his mother by buying out the remaining shareholders of the Company. The young Mr. David Barratt joined the company on the 1st February 1964 and became Managing Director on his 21st Birthday in 1968. During the gradual collapse of the British Leyland empire, Duff Morgan terminated their Rover Triumph and Land Rover franchises in both Norwich and Thetford and in 1984 were appointed dealers for Citroen in Norwich. 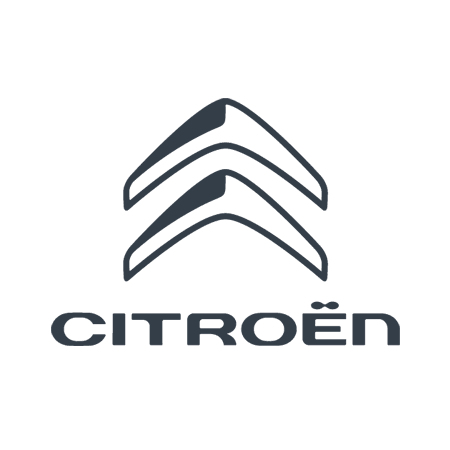 In 2002, Duff Morgan relocated their Citroen dealership in Norwich from Earlham Road, Grapes Hill to Whiffler Road where they now run one of the largest and most successful Citroen dealerships in the UK with one of the proudest reputations in Norfolk.